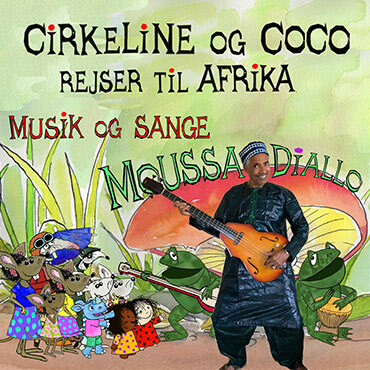 Moussa Diallo has composed the soundtrack and a number of extra songs for the new Danish animated children's movie "Circleen, Coco and the Wild Rhinoceros". You can order or stream the soundtrack. Read more about the album (Danish only). The movie is available with english subtitles. Trailer for the movie "Circleen, Coco and the Wild Rhinoceros"